Discussion in 'iPhone and iPad Games' started by Boardumb, Jul 27, 2016. 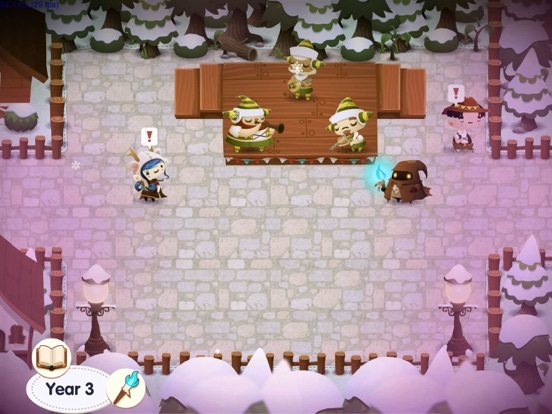 "It looks like a cute fairy tale, but this is a turn-based game that's thorny with challenge and packed with an incredible number of gameplay secrets." Should you play this game: YES – Kotaku "Road Not Taken is the cutest catalyst for an existential crisis I've ever encountered" 4.5 out of 5 – Joystiq "It's as mean as life, as cruel as the universe, and it still manages to be one of the most intriguing and moving titles released this year." 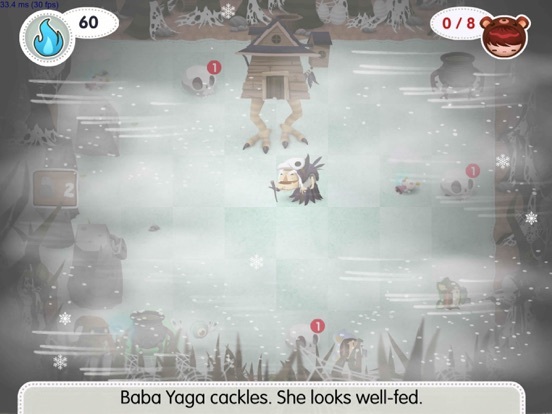 90 out of 100 – GamesBeat About This Game: Road Not Taken is a puzzle game about surviving life's surprises. You play as a ranger adventuring through a vast, unforgiving forest in the aftermath of a brutal winter storm, rescuing children who have lost their way. Randomly generated levels deliver a limitless supply of possibilities to explore and challenges to overcome. Your actions will influence not only your own story, but that of the villagers you hope to befriend and the town you call home. Story Details: Each time you play Road Not Taken, you're likely to experience a very different story. The paths you take will change; the relationships you pursue will twist in ways you did not expect. Which, as it happens, is just like real life. The villagers of Road Not Taken believe that there is an optimal path through life: a good person gets a job, falls in love and has children. You won't follow this path. Can you find your own unique way through a life? 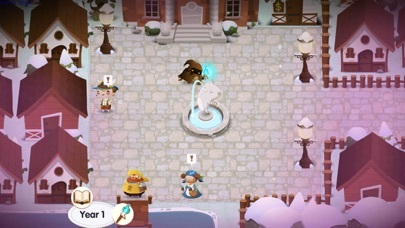 Gameplay Details: No path leads to the same destination in Road Not Taken. The trails you take will change, the relationships you pursue will twist in ways you might not expect, and the narrative you create with every action will be yours to decide. Every playthrough offers new and unusual creatures to encounter, secrets and items to discover, townsfolk to build relationships with, and devilish, hand-crafted puzzle rooms to solve. 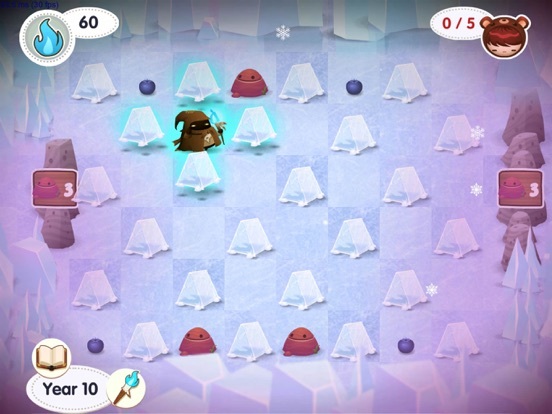 Brains, Not Brawn: Your character has the magical ability to levitate and move objects. You must figure out how to use your talents and tactics to circumvent or defeat a wide variety of dangerous creatures, obstacles, and boss encounters. Get Lost in the Wild: Road Not Taken is brought to life with gorgeous 2D artwork, expressively charming sprite design, and an evocative, atmospheric soundtrack. 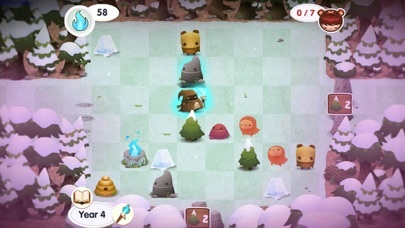 Every puzzle is a challenge of exploration and strategy, testing players to think before taking each step forward. Wow I love this art style and the spooky feel! Ive read the kotaku and eurogamer reviews and I'm still not convinced it's for me. I love the sounds of the puzzles but not the roguelike elements so I'm interested in reading any more impressions anyone has to offer. I'll post some video a bit later. It's taking me some time to get used to the controls. I think I might buy it... I like roguelikes but I don't like extremely tough puzzles.. I'm torn. The art is absolutely beautiful! iOS 9.1 or later that's a bummer Jailbreak user hear on 9.0.2. The irony is once this has been cracked I will then be able to install and play it most likely. Designer here. We have two modes in the iOS version. The normal mode is a lot easier than the Steam game. No permadeath or item loss. Good for people who want to enjoy the art, puzzles and story. Some testers even said it was relaxing. We kept the hard mode however; it is just as hard as the original game for those who want a challenge. So if you are worried about the difficulty, definitely give it a try. It should be friendlier. - The book of secrets autosorts based off what is on your screen. So much easier to find stuff. - Some of the items are easier to understand. Just uploaded the video and posted it above. I'm embarrassed to say I scrapped my first two videos bc I failed the first mission. Got it in the video I uploaded, but then failed miserably on the third mission. 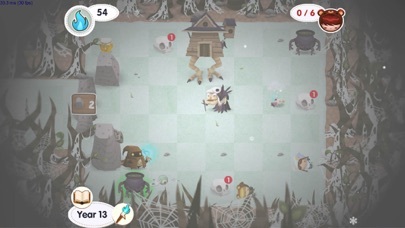 Dev, is there any way to salvage the mission if a wolf eats a deer and you need two deer to open a door? I couldn't find any way to bring the deer back, so I just forfeited the mission. I'm not sure if I missed something or if that's how it works. Awesome! Sounds like I will get this one then. Seems like a win-win for everyone (I'm probably in the normal mode camp and want to enjoy everything without tearing my hair out). I also heard there's a lot of replayability so that's a big plus for me. 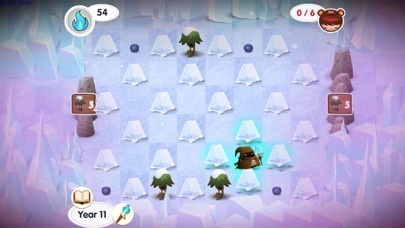 If a deer gets eaten, it gets reborn elsewhere in the level. It is generally hard to get fully stuck. Sometimes, you may need to teleport back to the starting room with the mayor (from the options menu) but the level is usually beatable still without quitting. You can however use up too much life energy. Usually there are ways to play more efficiently (cooking!) the next time through. For some reason I thought teleporting back to the mayor would forfeit the mission. I walked around and ended up getting all the deer eaten and panicked. But that's good to know that they respawn. I'll give it another go. Thanks! Dev, could you tell me how much additional content need to download? I think Snakebird spoiled me. I'm like, "damn where's the undo button?" I played the heck out of Triple Town. Gonna give this a go.